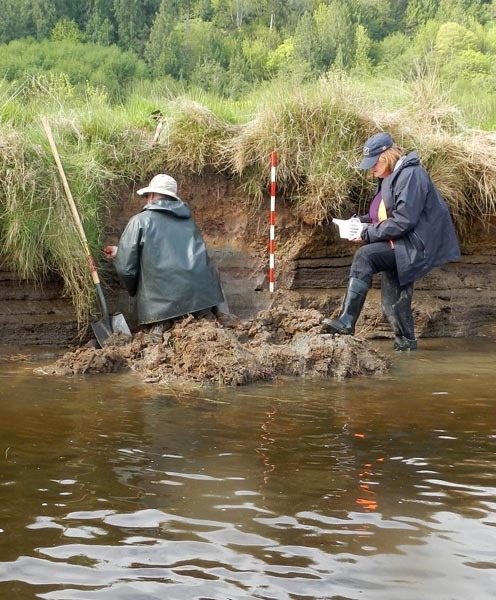 Coastal Marshes Yield History Of Northwest Quakes, Tsunamis Researchers have found fresh evidence of 26-foot-high tsunami waves that washed more than three miles in to the Olympic Peninsula. PORTLAND - Native American legends collected on the Pacific Northwest coast speak of battles between supernatural beings that made the ground shake and caused great floods. Those stories can't tell us how often great earthquakes occur here or how high tsunami waves have reached. Now, researchers from Portland State University have found fresh evidence of tsunami waves more than 26-feet high that washed more than three miles inland. A few years ago, Portland State archaeologist Sarah Sterling was working on a dig at an ancient tribal village site in Port Angeles, Washington called Tse-whit-zen. She noticed something curious. She observed a series of gaps in a radio carbon sequence. Those gaps suggest the low-lying waterfront village was periodically abandoned every few hundred years. Sterling wondered if the explanation might be killer tsunamis. And that's how she fell in with a cadre of geologic history detectives. They are scattered at universities and geological surveys from Vancouver, Canada to California. For several decades, these researchers have scoured the Pacific Coast for evidence of old earthquakes and tsunamis. Now, it was Sterling's turn to wade into scarcely-examined coastal marshes west of Port Angeles - near Salt Creek County Park and the Pysht River mouth. 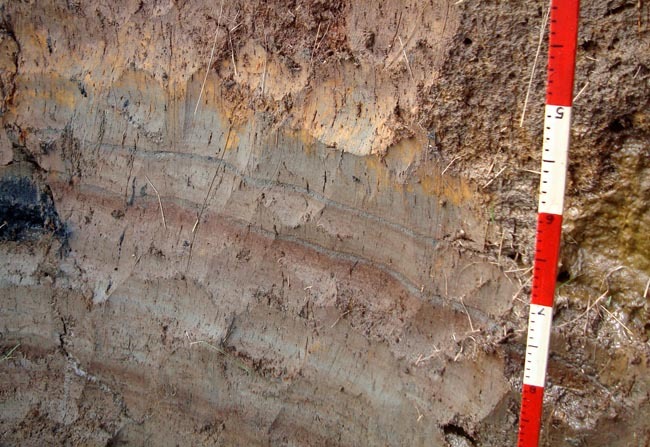 She and her collaborators then examined that long sediment core for deposits left behind by ancient tsunamis. Sometimes no digging is required; a cut bank in a river bend reveals all. "You're looking for, in short, a clear sand layer up against old marsh deposits," Sterling explains. "So you'll have very dark brown organic material suddenly interspersed with a clean layer of sand. Then the sequence continues below." So how do researchers believe a great earthquake leaves its signature? "The first step is a down drop," Sterling says. "So the original surface drops down. Then the wave or the water rolls in, brings sand or roils up sands in its path, and then recedes." One sign it was a tsunami: tiny marine fossils in that sand layer. That's evidence it came in on a surge from the ocean, not via a river flood or wind event. Finally, researchers try to date the event through radio carbon testing of any plant material found next to the tsunami deposit. Portland State University geology professor Curt Peterson led a separate team to the tip of Washington's Olympic Peninsula. The results are about to be published in the Journal of Coastal Research. In that paper, Peterson describes evidence of four major tsunamis that he found in the wetlands between Makah Bay and Neah Bay. "There's one at about 300 years ago. There's one at about 800, one at about 1,100 and one at about 1,300 (years ago.)" Notice the amount of time between catastrophes. It varies by hundreds of years. Which is why Peterson says it's hard to say whether we're overdue for the next Big One. "Whether to go with the 500-year event, which means you have 200 years left -- nothing to worry about -- or the three hundred year recurrence interval, in which case it could happen tomorrow." Peterson says because of the uncertainty, "It's probably better just to be prepared." That's a philosophy the chief hazards geologist for Washington State would agree with. Tim Walsh makes tsunami inundation maps so coastal residents and tourists can know if they're in harm's way. Walsh says he uses the historical detective work of Peterson and others to cross check his present day models. "It lends credibility to a tsunami hazard map if you can show that there is evidence of past tsunamis having inundated that same area," Walsh says. Walsh says in the case of Neah Bay, his estimate of the wall of water from an offshore megaquake matches up closely with past history. Both scenarios would see nearly all of the present day town of Neah Bay flooded or washed away.